C&B Equipment keeps your business up and running and maintains peak productivity levels with efficient and reliable engineering solutions. 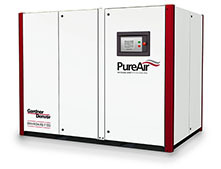 Our range of products for sale includes efficient industrial air compressors and parts from Gardner Denver, a global manufacturer of compressors, vacuum products, and blowers. We are certified distributors of the company’s range of world-class engineering solutions. Equipped with a wide product breadth, Gardner Denver is an expert in diverse engineering applications. It’s no wonder that the company is one of the world’s most trusted providers of technology that can accommodate different application needs. Like C&B Equipment, they are dedicated to improving reliability and uptime with a high-performing product line. One of the major drawbacks of traditional two-stage, oil-free compressors is its heavy dependence on gearboxes. These require an increased oil volume for better gear lubrication and consume large amounts of energy. 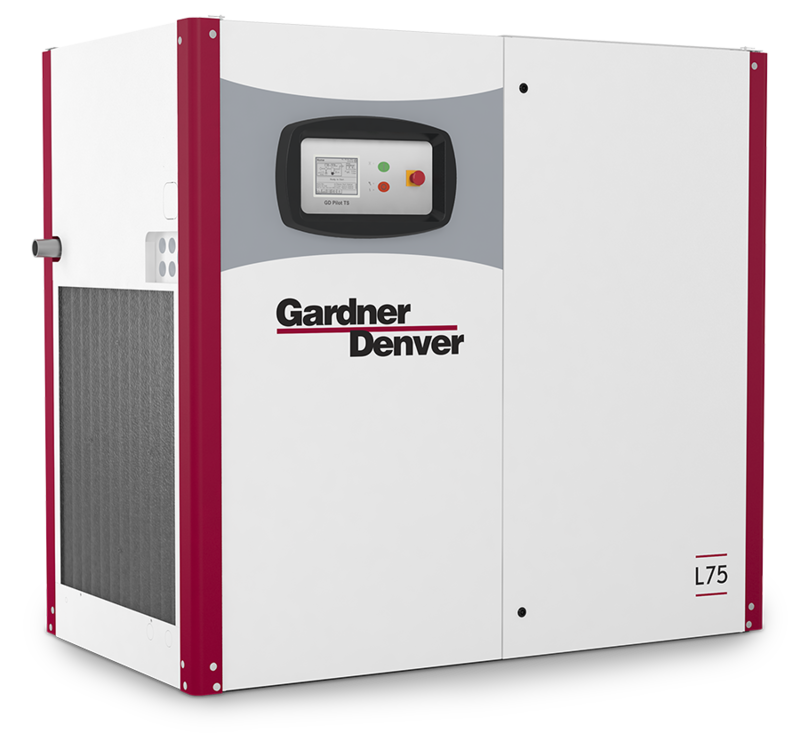 In contrast, Gardner Denver’s industrial air compressors use two permanent magnetic motors instead of the traditional gearbox. These highly-efficient speed motors can achieve efficiencies greater than 98 percent and speeds up to 22,000 RPM. Oil-Free Compressors: Their oil-free package provides energy-efficient compressed air for use in a variety of industrial applications. Oil-free compressors eliminate contaminated air, reducing the risk and costs associated with rework and product spoilage. 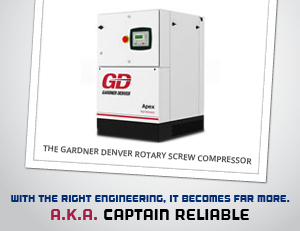 Lubricated Rotary Compressors: Gardner Denver’s compressors fit all part load and full load applications. We also design, install and perform compressed air audit practices which identify supply-side compressed air equipment to reduce energy costs and improve air quality. Our goal is to help you lower your energy cost, and reduce downtime and wear on your equipment for improved production at the demand side. Up your business productivity with high-quality compressors from one of our trusted manufacturers.